What comes to mind when you think of travel pants? Just like the little black dress is a ‘must-have’ for women, travel pants are a necessity for adventure travelers or globetrotters. How you choose your pants would essentially make or break your travel. Travel pants come in all styles and sizes, but unfortunately, a lot look like travel pants – those oversized pants with too many bulging pockets, on par with dad jeans. That’s not to say all travel pants are bad or that I don’t like travel pants. In fact, a lot of travel pants are awesome, loaded with tons of technical features like UV protection, water repellence and convertibility between pants and shorts. Although the pants feel nothing like a waterproof hardshell, they repel water very well – almost seeming to defy the laws of nature. I ran the Colter pants under the tap for a minute without water seeping in. The pants are made with Schoeller’s Nanosphere technology. Over time, wear and washes, I expect for the water resistance wear down a bit, and I’ll keep this post updated. I recently walked/ran/sat outside in pretty heavy rain for about 20 minutes with the Colter pants on. After running around my block in the rain and standing outside, the water started to seep through around my quadriceps. The droplets were still beading on the pants from knee down and the back of the pants hadn’t absorbed any water at all. If you’re hiking and get caught out in a massive rainstorm, these pants will get soaked, but the Colter pants still way outperform any pair of normal pants or jeans, which would have been completely soaked the end of my 20 minutes in the rain. The Nanosphere water resistance also helps to repel stains which is helpful when traveling – you won’t have to wash the Colter pants if you spill stuff on them. You can pair these pants with a flannel and a pair of rugged boots, or with any technical t-shirt and a pair of hiking boots. You could also wear them with a polo or dress these pants up by wearing them with a button up shirt. These pants look slightly technical, but you could get away with wearing them to a fancy restaurant or places with dress codes. If you have extra space in your backpack and are planning on going places where you’ll need to dress up, you might want to pack a pair of chinos or dress pants. Although these pants aren’t convertible like the Craghoppers NosiLife pants, you can easily roll them up to capri-length or higher if you’re in a wet area or need to vent. I just survived Snowmageddon 2016 with these pants. 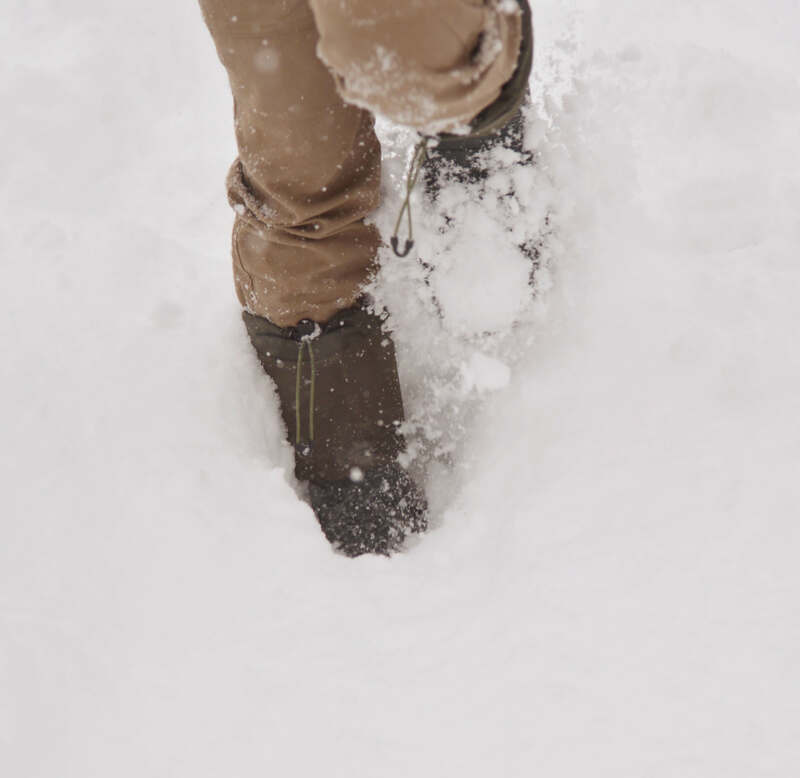 Along with my Kamik Coldcreek boots, I stood in 3+ foot deep snow without getting wet. Wearing the pants over my 2XU compression running tights added extra warmth. If snow melted on the pants, it would mainly bead, then roll off. 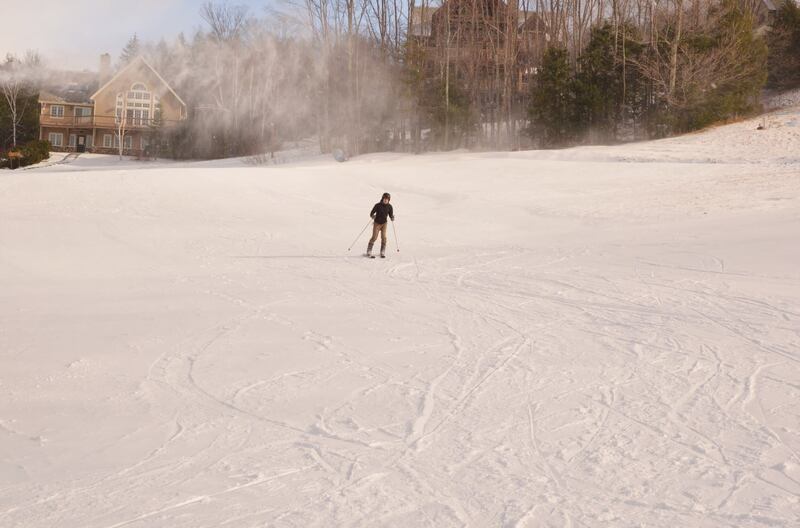 I even took the Stio Colter pants on a ski trip in upstate New York. 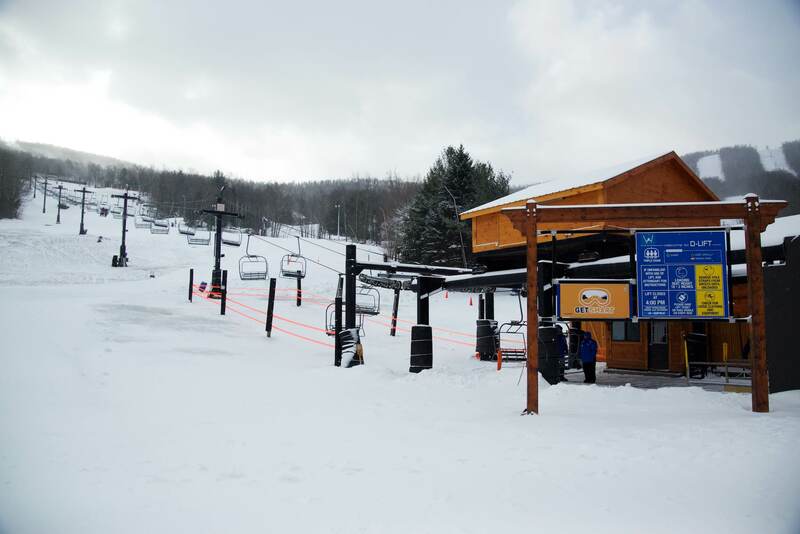 We went on short notice, so I decided not to get ski pants and just wear the Stio pants. The pants were a little cold, but I warmed up and the pants stayed dry. That’s me. Going down the really short hill. 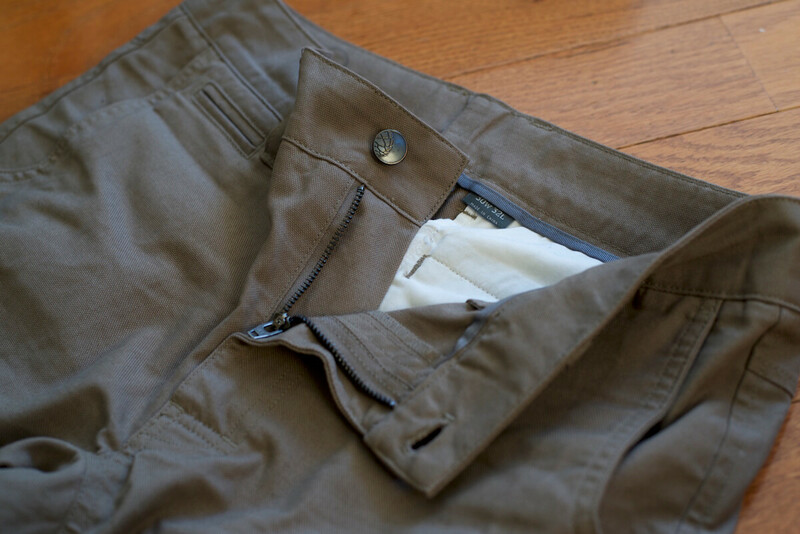 The Stio Colter pants come in sizes ranging from 30 X 32 to 38 X 32. I’m 5’9″ and 135 lbs., and wear the 30 X 32 size. The width, 30, is a bit big on me, as I’m usually a 29 or 28 waist size. I’m a 29 X 30 in Levi’s 511 jeans. I put on my Travelon money belt with the Colter pants which fixed the issue. Prior to selecting my size, I read that from some reviewers felt that the inseam was 2 inches short. They were right on. 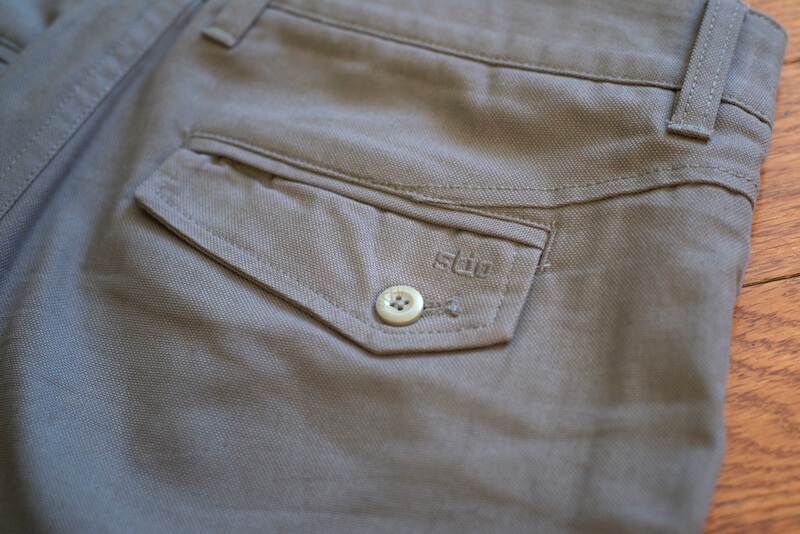 I usually wear pants with 30 inseams, but in the Stio pants, the 32 inseam fit me perfectly. When getting the Colter pants, you might want to size up on the inseam. The pants have a ‘Regular’ fit, which isn’t slim or baggy. Honestly, I feel the cut is just right for travel and adventures: not too restrictingly tight, but not too baggy where you have excess material getting in the way. The pants have a “gusseted crotch and articulated design”, which make them very comfortable and well fitting for all adventures. The cuff opening (the part of the pants around the ankle) is wide enough to wear the pants over hiking boots. My only issue with these pants has more to do with my body type than the pants. I’m on the skinny side, so the waist of my current 30 X 32 pants is a bit too large. If the Colter pants came in a 29X32 size, that would be perfect. 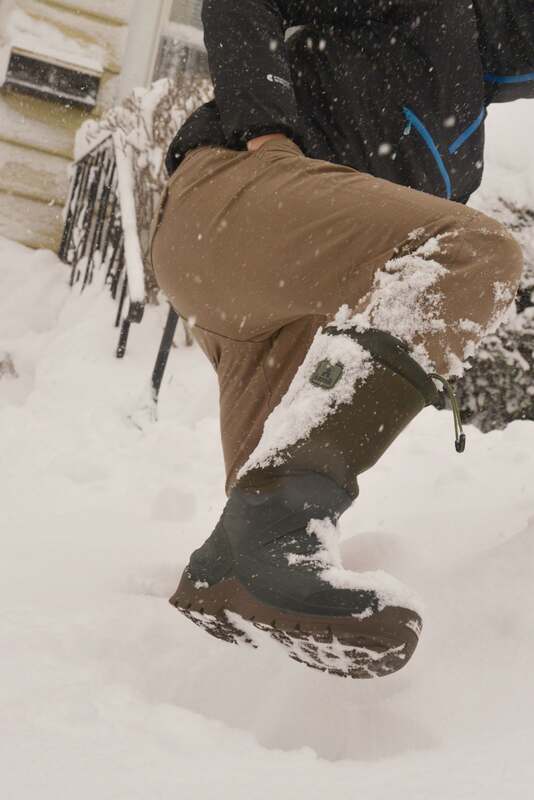 The Stio Colter Pants are versatile, durable and comfortable – everything you’d want in a pair of travel pants. You can wear them in the snow, for a hike or around the city. These have just usurped the Craghoppers NosiLife pants as my new favorite travel pants. The Colter pants come at retail $105 on Stio.com, which is pricier than travel pants from Columbia and at a similar range as that of similar technical hiking/travel pants. I’ve given these pants an 8/10 rating for ‘value’ because of the durability, features, and overall design of the pants.